Home / News / Pawan Kalyan is full time Politician now! 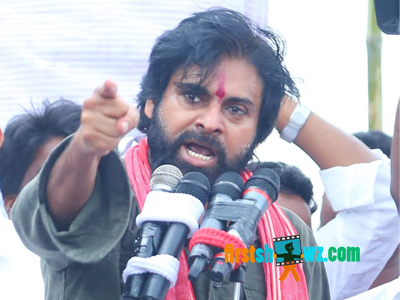 Pawan Kalyan is full time Politician now! Its official now, Powerstar Pawan Kalyan has cleared the air on the rumors which is circulated in social media. The actor has released a press note on the rumors which milled through social media since couple of hours and informs he has no time to act in the films and is now concentrating in full time politics. Janasena Chief Pawan Kalyan due to his busy schedule on campaigning his Janasena Party has confirmed that he is full time public savior from now and is not yet in plans to act in films. It is know that, there is a buzz in film circles, that Pawan Kalyan has accepted and Political Thriller film and the news spread viral following in few websites including us. Meanwhile, Pawan Kalyan's Janasena Party is getting ready to contest in Lok Sabha elections in Telangana region. As per the Actor's statement about his film, we sincerely make this a note on behalf Pawan Kalyan and republishing this information.